© 2019 Beth Heit. All rights reserved. Raku means joy or pleasure in Japanese. The symbol for raku was bestowed on the family of the potter Chojiro by the emperor Hideyoshi in the late 1500’s. Raku pottery was originally created by Chojiro to be used in the tea ceremony. 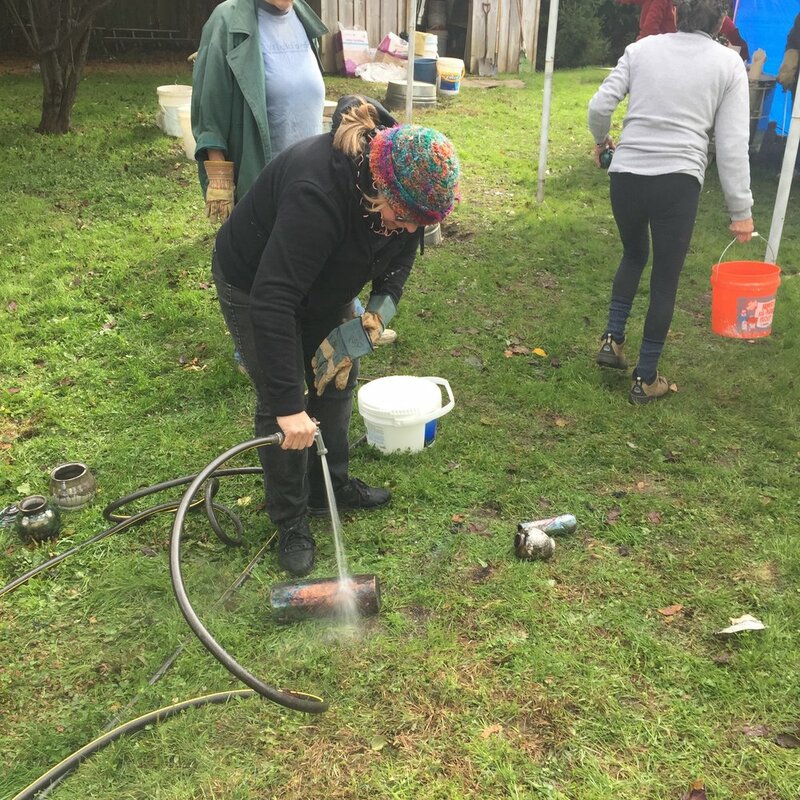 Raku ware embodied the concept of wabi, which became vital in the tea ceremony (see blog post, Wabi Sabi Mug Making, 8/4/15.) 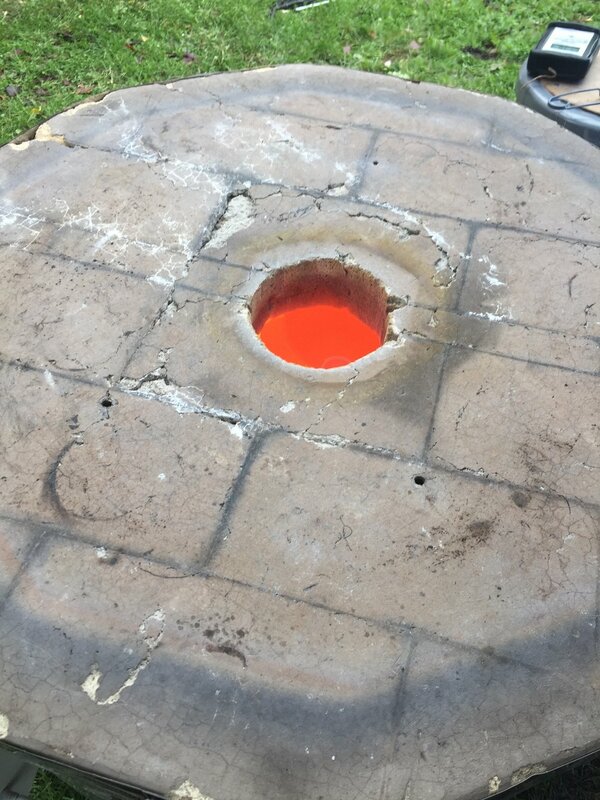 Raku differed from other pottery firing methods because it required only a small kiln and a quick firing. 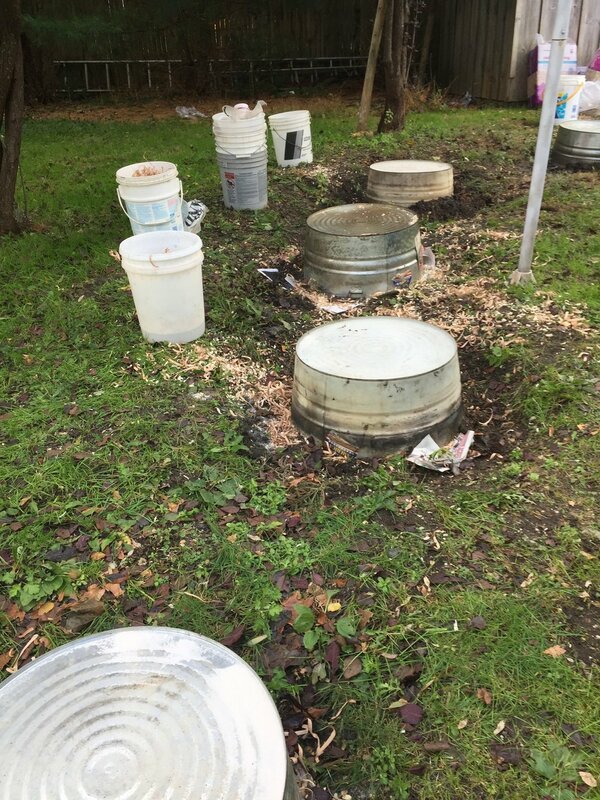 Some historians feel the first raku firings were based on the methods used to fire roof tiles. In the 1950’s Western ceramic artists modified and changed the process until it became something uniquely American. 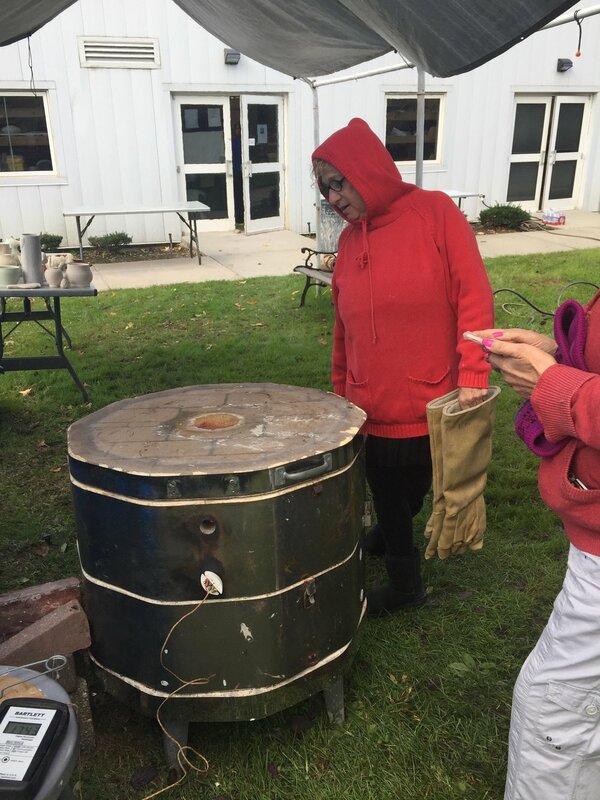 I participated in a raku workshop with Toni Rosenbaum at the Art League of Long Island . It was a fun day! We even got to celebrate two birthdays. Raku firing gives you the opportunity to work with combustibles ( paper, wood chips, sawdust...) so you really do experience the joy of fire. Scroll through the images and watch the video to get a feel of the raku process. Watch this video of pulling pots from the kiln. 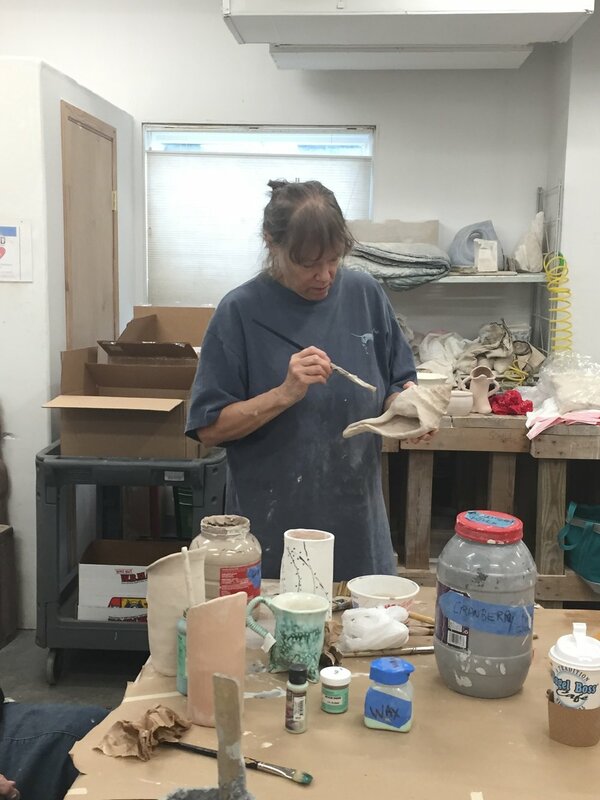 Sign up with your email address to receive my monthly newsletter about gallery shows, pottery classes and blog posts.